If you want to make money online, eBay provides a useful platform. You can sell items that you obtain at low prices to make a profit. Selling on eBay can be a lucrative side career. If you stick with it, you may even be able to give up your day job. However, it will require hard work. Instead of rushing into this endeavor, you should take the time to plan your approach. 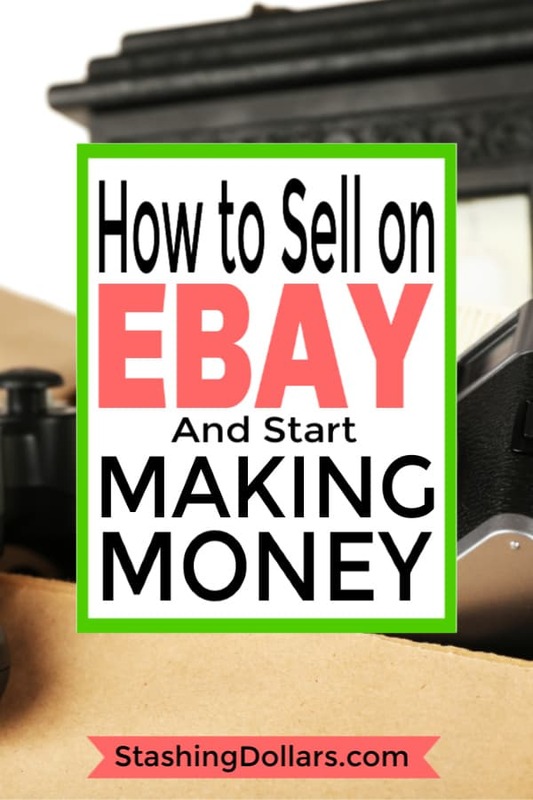 Follow this guide to learn how to sell on eBay and make money. Before creating your eBay account, you should decide what you want to sell. While you can choose to sell a wide variety of products that cover various markets, it is often easier to focus on one niche category. When you focus on one category, it is easier to keep track of the latest releases, trends, and prices. These details are essential to becoming a successful seller. Selling to a niche market also reduces the amount of competition that you face. It also makes it easier to build loyalty with your customers and establish a reputation as a reliable seller. You can buy and sell almost anything on eBay. However, you may want to focus on items that you already know and use frequently. For example, if you love fashion, you may want to learn how to sell clothes on eBay. If you enjoy technology, you may find it easier to sell gadgets and electronics. If you need a few ideas, you can start browsing eBay. Examine the different product categories and try to find items that interest you. The best items tend to be items that you can find at low prices and sell for a profit. High-priced items, such as televisions or video game consoles are riskier, as there is more of an initial investment. 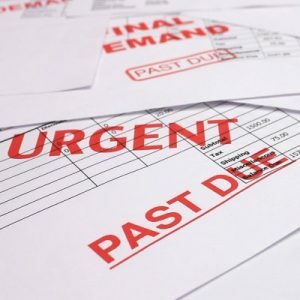 Keep in mind that you do not need to buy anything yet. In fact, you still need to create an account. When creating your eBay account, you need to choose a username. A memorable name sticks out. If you choose a username that people can remember, they are more likely to buy from you again. To create a memorable name, keep it short. It should also not contain any offensive words or sound unprofessional. According to the eBay policy on usernames, it needs to contain at least two characters. It cannot contain any symbols or hyphens. You also cannot use any trademarked names. If possible, try to connect the username to your niche category. However, do not spend too much time finding the right username. You can always change this later. After creating your account, you should set up your payment method. You need to accept PayPal from buyers if you want to sell items on eBay. If you do not already have a PayPal account, create one and connect to it from your eBay account. When you create an eBay account, you have a visible profile page. Buyers and sellers can view your profile when checking your feedback. If you want buyers to know that you are a legitimate seller, you do not need to spend a lot of time setting up your profile page. 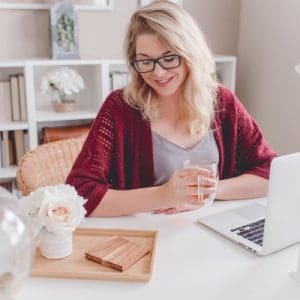 Start by adding a profile picture and include a few basic details about yourself, such as why you enjoy the types of products that you plan to sell. Before you start selling, you need to build your eBay presence, beginning with your buyer reputation. Buy a few small items and then leaving feedback on the seller. When you try to sell your first items, potential buyers can at least see that you are a real person. You can easily add a positive rating to your eBay account without selling a single item. Consider buying a few items that you need, instead of trying to build your inventory or resell items. You will have time to build your inventory later. When you first start selling on eBay, you are restricted to five sales per month. The selling limit requires you to slowly build your seller reputation. However, the limit also allows you to learn more about how eBay works and how to list your items. You can learn more about the process while growing your reputation before you start selling large volumes of goods. You still do not need to build up your inventory. You can start selling items that you have around the house. Get rid of some items that you no longer use. When a person buys the item, ensure that you ship it promptly and answer any questions that they have. You need these first few customers to provide positive feedback. When you decide to sell an item on eBay, you need to complete several steps. As you fill out information related to your item, remember to only include honest information. Do not try to mislead potential buyers with false product details. Dishonesty will lead to negative feedback and hurt your ability to become a successful seller. The first detail that you need to provide is the condition of the item. You also need to create a title and description. The title should use descriptive words to clearly let people identify the item as they scroll through the eBay listings. Your listing also requires photos. People are less likely to buy an item when they cannot get a good look at it. Always use a high quality digital camera to take photos of your items. You should also take photos from multiple angles. Ensure that the area where you are taking the photo offers plenty of natural lighting. You should also take many photos and choose the ones that look the best. You still have several important decisions before making your listing public. You need to choose between an auction listing and a “Buy It Now” listing. You may also choose both options. With an auction listing, you select a starting price and allow buyers to place bids. When the duration of the auction ends, the buyer with the highest bid buys the item. With the “Buy It Now” listing, you simply set the exact price that buyers need to pay to buy the item. If you choose both options, buyers can either place a bid or buy it now. However, the price to buy it now needs to be at least 30% greater compared to the starting price of the auction. You also need to choose the right price. There are several steps for determining the right price. To ensure that you make a profit, you need to sell the item for more than it cost to purchase and ship it. You should also examine the average sale price of similar items or even the exact item. If other sellers are selling the exact item at a lower price, you may have trouble selling. The final selling option to consider is the duration. However, this only applies to auction listings. A short listing may encourage more impulse bidding, which may help you get higher sales. If you want to make money selling items on eBay, you need to buy items at the lowest available price. You cannot make money buying new items on Amazon at the regular retail price. You need to find affordable sources for building your inventory. You can start looking for deals on eBay. Sometimes, you can get great bargains on bulk items and then sell them individually with a markup. There are also many local sources. If you plan to sell clothing, shoes, or used books, you should search your local thrift stores and garage sales. You may also get good prices at a consignment shop and discover unique items for your niche category. Another option is to shop wholesale. There are many discount stores and warehouse stores that offer large discounts when you buy larger volumes of their products. While e-readers and tablets allow people to store thousands of digital books, many people still enjoy reading paper books. In fact, it is one of the most lucrative products to sell on eBay. If you want to know how to sell books on eBay, there are several tips that you should follow. Do not purchase fiction novels, such as the latest release from a popular author. You should also avoid expensive books and rare books. The best books to sell on eBay are non-fiction books. Books on collectibles, crafts, history, cooking, cars, music, and other hobbies are the biggest sellers. You may also find success selling “how to” books. You can find many of these types of books at flea markets, garage sales, and thrift stores. While some of the titles that you find may be obscure, there is likely a buyer out there that will pay a premium price for it. Successful booksellers often earn markups that exceed 100%. You should also avoid buying books that are not in good condition. It is also important to avoid paying more than 75% of the original cover price, which is often printed on the front or back cover of the book. Learning how to sell clothes on eBay is a little different compared to selling books or electronics. While you should avoid expensive books, expensive and rare clothing tends to perform well on eBay. Designer clothing and rare items are the hottest sellers and provide the highest profit margins. If you want to sell clothes on eBay, you should research the prices of the items that you plan to sell. Before listing a designer sweater, find out how much people are asking for similar items. You may also want to avoid clothes that are more likely to result in returns. People are not happy when the clothes that they order do not fit. Pants are often the hardest to sell, as they are so specific to a person’s personal tastes and body size. Dresses are the easiest, as there is more give to the material compared to tight jeans. Fashion accessories and handbags are also popular items that rarely get returned. You can use these same strategies to learn how to sell shoes on eBay. Like clothing, shoes come in many sizes and you may need to deal with returns. You should ensure that you provide clear, high-quality photos of the shoes and accurately describe any sizing issues to decrease the chances of dealing with returns. Let buyers know if the shoes are a little tight or a little loose. 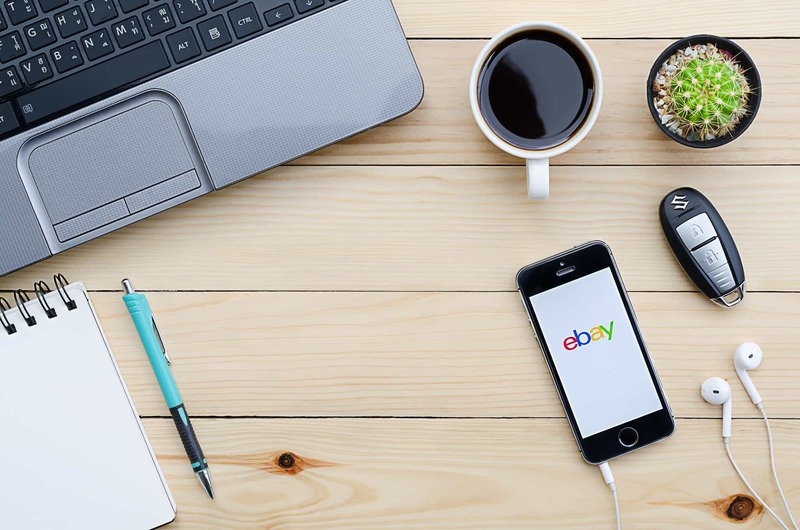 These tips for selling on eBay for beginners are just the start of your education. You should continue to research selling techniques and strategies. You should also track and monitor your profits. Keep track of how much you spend on your inventory and shipping and how much you earn through your eBay sales. When you analyze your sales over a long period, you may start to learn how to properly price your items. You may find that you can afford to increase or decrease the asking price to help boost sales volume and sales totals. Now that you know how to sell on eBay, the next step is to put these tips into action. You should start by choosing the types of items that you want to sell. It is also important to remember that your success depends on your reputation. Do not argue with customers or get aggressive when responding to complaints. If you have a legitimate issue with a buyer, you can contact eBay to resolve the problem. You will not achieve success overnight. You need to slowly build your reputation and your inventory. However, if you stick with it, you may become a top seller.